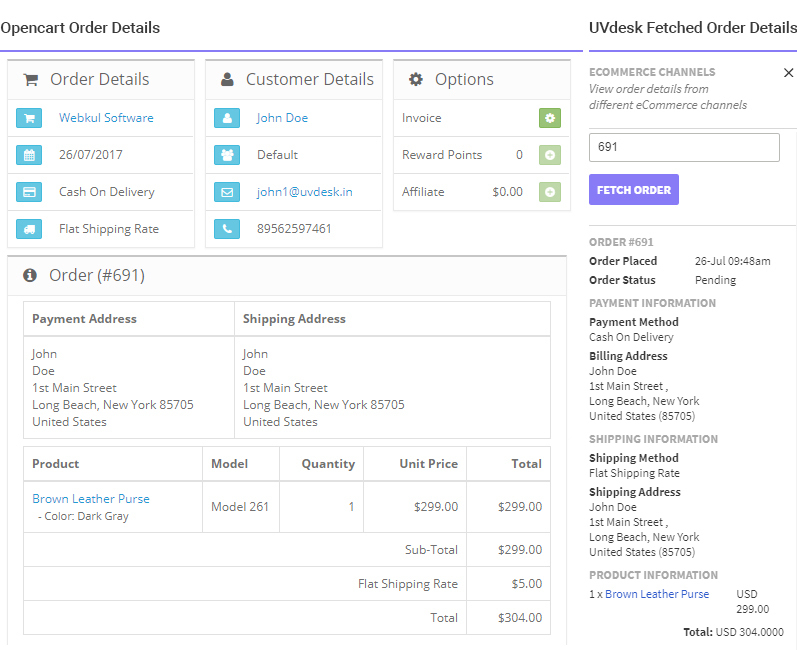 OpenCart App integration is really easy with your OpenCart Webstore. Just a few steps and then you are ready to fetch the order related details from your OpenCart Store to Ticket System. On the Dashboard, you will see "APP CENTRE" menu and under it, you will find "OpenCart". Click on that button and OpenCart App will get installed. 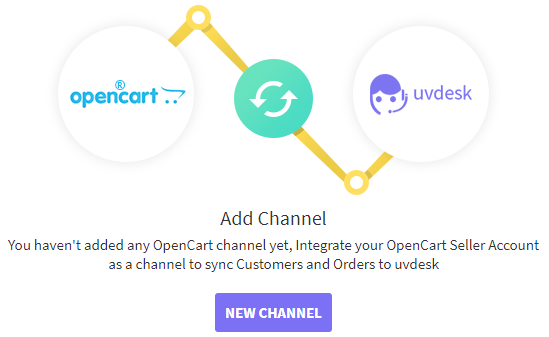 Now go to the "Configure" tab and click on "New Channel" to add new OpenCart Channel in the UVdesk. 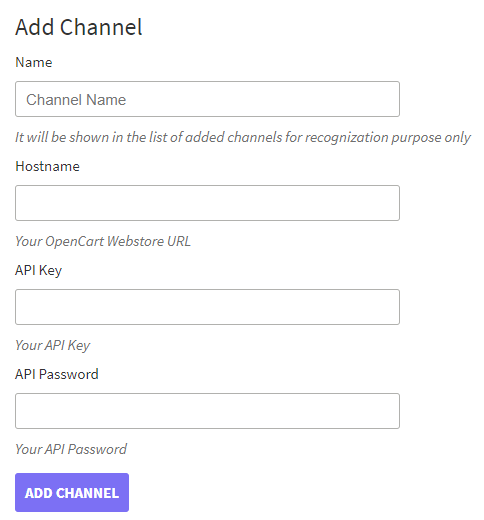 For adding the channel enter Name, Hostname, API Key & API Password. 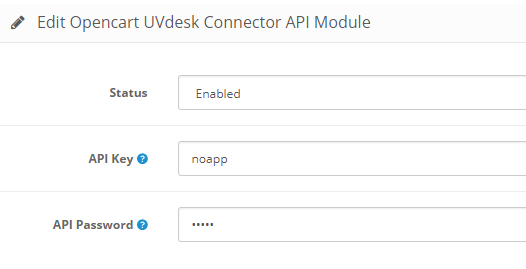 Now, login into your OpenCart Admin panel and follow the path: Modules -> Opencart UVdesk Connector API. Enable your API and set your API Key and Password.